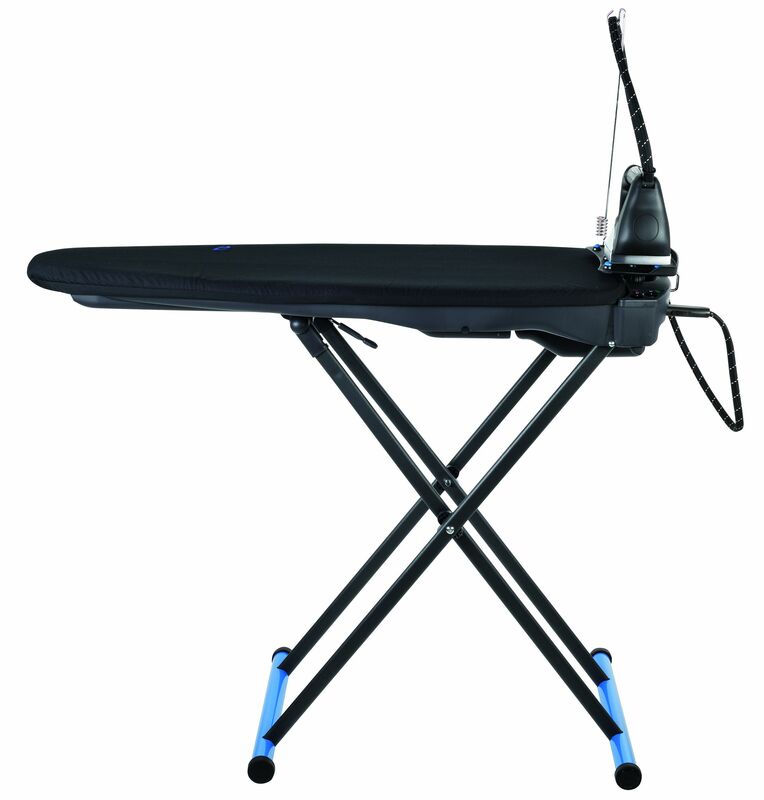 The Smooth Active Ironing Board allows you to iron like a professional. It cuts down on ironing time with better ironing results. 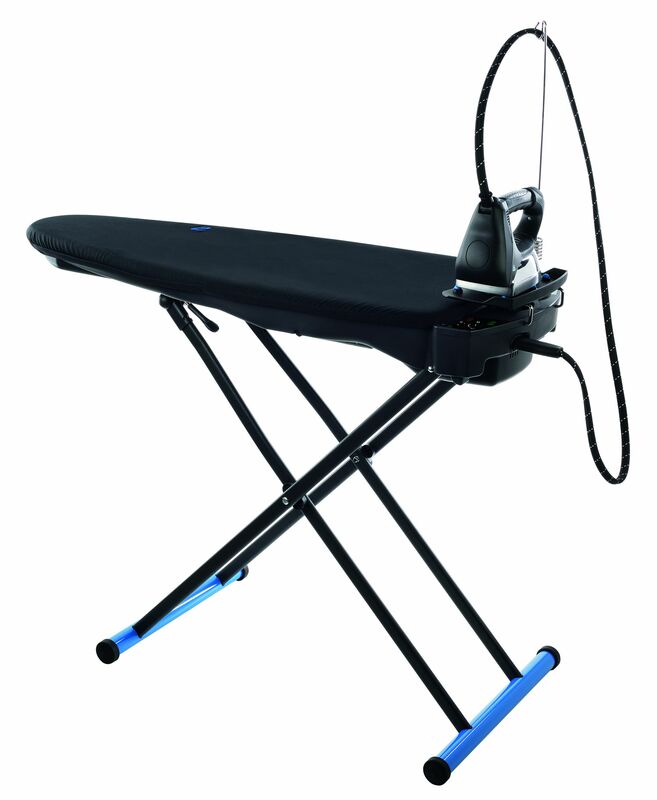 It features 3 unique functions that revolutionises the task of ironing. Heating function – a heated aluminium surface that eliminates moisture condensation and stops the board from rusting. Traditional ironing boards are made of metal and start to rust due to the steam’s moisture coming from the iron. Blower function – creates an air cushion underneath the garment for gentle ironing of delicate fabrics and for freshening up clothing, it is like ironing on a pillow of air. Extraction/vacuum function – helps pull steam deep down into thicker and coarser fabrics (such as jeans linens) so that only one side of the garment needs to be ironed. The extraction function also helps to hold the garment in place for comfortable ironing and to channel steam away from the fabric while the garment is being set flat by the iron. The stainless steel boiler with professional-style iron and soleplate is similar to the commercial ironing systems found at the Dry Cleaners, but now you have the same system at your finger tips. 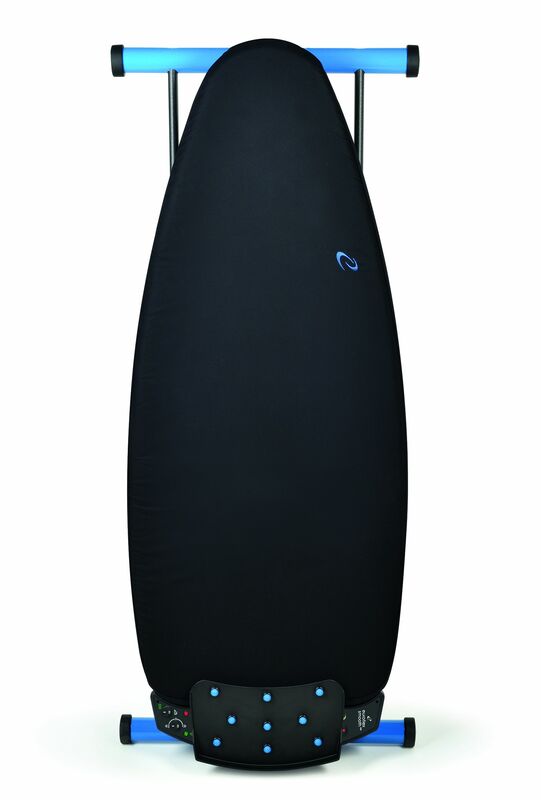 It’s ironing made easy with the Smooth Active Ironing Board. 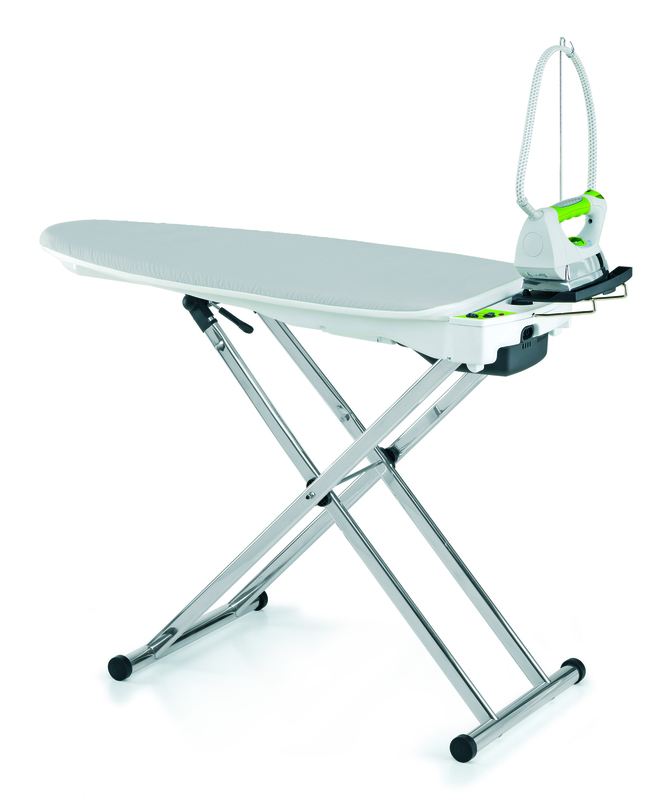 Simplicity, design and practicality – everything you need for a professional ironing job at home!